Support the Transit Museum Society! For more than thirty years, the Transit Museum Society has connected generations of people to this place and to one another through the lens of transportation history. 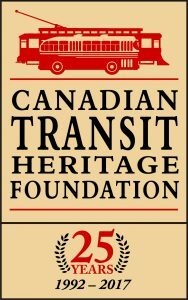 Your gift to the Transit Museum Society enables us to continue to share the story of how this region and province grew because of mass transit, and allow everyone to experience it firsthand with our fleet of vintage buses and collection of artifacts. Your donations don’t have to be monetary. Click here if you have any artifacts you’d like to donate! A donation between $25 and $200 will get you a tax credit of approximately 20% of the amount donated. You should complete Schedule 9 and BC428 to get the combined federal and provincial credits. For donations over $200, you will receive a tax credit of 43.7% of the amount donated (up to 75% net income). Amounts given are calculated using the latest available information, so consult a tax expert before donating to see if it has changed! Monetary donations are processed using PayPal.